Diem Legal serve all types of court and legal documents within 24hours and provide an expert people tracing service on a no trace no fee basis. + legal support services. 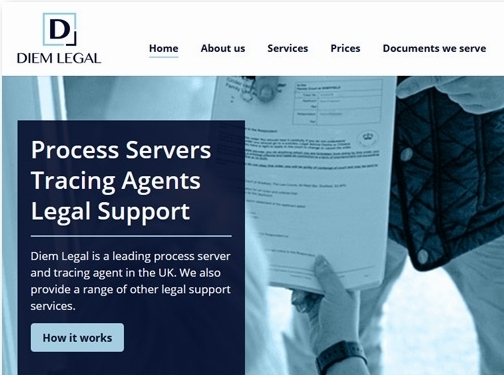 UK (Ketteringham, Norfolk) based business - established in 2014 - providing people tracing & legal server services. Website includes details of services provided, "meet the team" page, associations, testimonials, full contact details including company registration and VAT numbers.